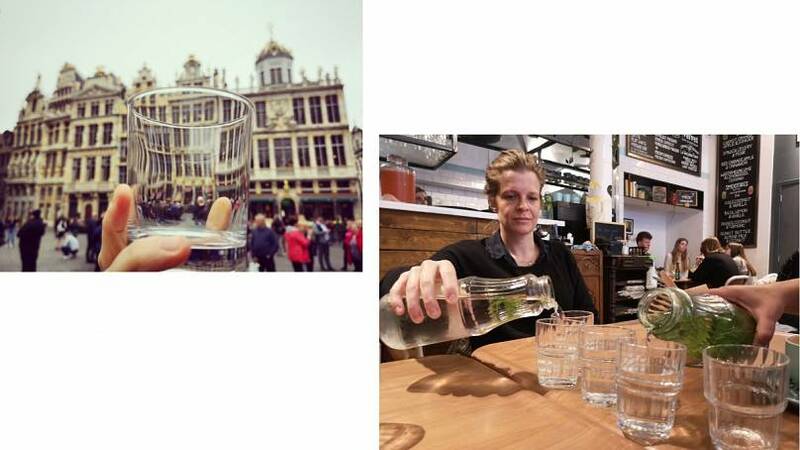 Did you know that you can't get tap water in most Belgian restaurants? It has been given freely to clientele in the US, the UK, Australia, and many other countries for decades. But restaurants here are still loathe to allow their customers to drink fresh tap water, favouring instead to sell millions of bottles of plastic and glass every year. Why is Belgium so hooked on bottled water - while hosting the EU headquarters, a world leader in the fight against plastic waste? And can a campaign help end the drought? How far would you go for a glass of water? Quite some distance, is the answer for one Brussels citizen who was inspired to take action after being refused a simple glass of tap water in Le Pain Quotidien. Citing "the Greta effect" as inspiration, Londoner Sarah Ehrlich started a campaign on Facebook, calling for change. Taking matters into her own hands, she is speaking to café and restaurant owners individually, asking them to start serving tap water now – rather than waiting for legislation. 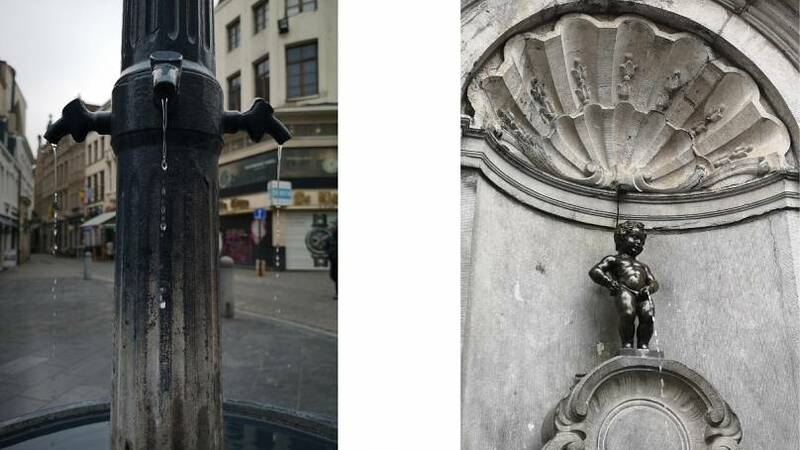 Simply titled “Free Tap Water in Belgian Restaurants,” the campaign is proving successful, with café chains such as Exki and Pulp agreeing to change their ways since it began just two months ago. Almost 8,000 followers on Facebook shows the appetite for such an initiative. It has not gone unnoticed by the Belgian media either, attracting attention from the national press and featuring on a number of TV shows in recent weeks. “The trigger for the campaign was having lunch with my friend from England in Bruges. We went to Le Pain Quotidien and had just spent a considerable amount on her birthday lunch and coffee. When she asked for a glass of tap water, she looked so astonished at the negative reply. I had already been thinking of a campaign, but her look was certainly the impetus needed for it!” says Ehrlich. Ehrlich admits the response to the campaign has been overwhelming, with nine volunteers joining her within a month. They work on updating the page, contacting restaurants, answering comments and giving media interviews in French and Dutch. “What is proving incredibly popular is our Google Map which shows the places that do already serve free tap water - 302 restaurants as of today. It is, however, a 'glass half empty' situation as the vast majority don’t, but I do think we are on the cusp of a tap water revolution here,” she says. Every day the campaign champions new tap water converts in a "name and fame" approach on its Facebook page. A template letter also exists, in three languages, for people to send to restaurants themselves, asking them to consider a change. The page is also home to pictures of Belgian residents on holiday around the world, proudly drinking tap water from Japan to New York and sharing the evidence. Ehrlich is adamant that both plastic and glass cost the environment, pointing out the factors of transport, energy, and water required to clean glass. “The main point is that bottled water is essentially an invention and a multi-million euro industry in Belgium, and it probably will be for some time yet," she says. “They’re here protecting Europe - and yet when those people go around the corner for their lunch break they’re like the rest of us, forced to buy a little plastic bottle, more single use plastic. Why can’t we see a change here right in front of us?" she says. Ehrlich is quick to say that while she may have got the ball rolling, this campaign is nothing if not a team effort. The mixed spread of nationalities among the volunteers highlights the multiculturality of Brussels, with the group made up of four Belgians, three French, a Croatian and an Israeli. Axelle Basselet, who grew up in France near the Belgian border, speaks about the difference in habits just three kilometres apart. “It’s been 30 years I’ve known about this - when you go to Belgium, you have to buy water. In France you can ask for tap water and it’s mandatory to give it," she says. Yaron believes that the project is all about generosity, starting with the environment. “But it’s also a generosity between ourselves as human beings. Generosity from you as the restaurateur will bring out my generosity and my kindness. I will order more food, I will stay for dessert and I will come back,” she says. “The more people share the page, the more the campaign has more prominence and the more people simply ask for a glass of tap water - if everybody starts doing it, restaurants will listen,” says Ehrlich. Ehrlich also addresses the idea that Belgian tap water is simply not safe to drink. “It’s almost like an urban myth, you mustn’t drink Belgian tap water,” she says. “It’s a subtle way of conditioning a public. By insisting that you can only drink bottled water, there is also a signal sent that there is something wrong with the tap water, and that is what many Belgians have been led to believe," she says. The non-potable claim is also refuted by Eric Chauveheid, Water Quality Manager at Vivaqua. “In Belgium we intensively and regularly control the drinking water. We control already the water in the ground at the source, we follow the quality of the water, and when it is delivered to the consumer we control it again - so we make several controls at several steps of the process,” he says. He speaks to concerns about calcaire (lime) or hard water. “The effect of lime on machines and on human beings is not the same at all. You can have trouble with machines if you heat water above 70 degrees. But people should not compare washing machines with the body – it's completely different. Hard water is not harmful to drink,” he says. It’s clearly a very emotive subject for Belgian establishment owners. The Fédération Horeca Bruxelles is strongly against the initiative, citing steep social charges which already cost the restaurateur when hiring staff. Federation President Yves Roque acknowledges that customs vary in different countries, but states that here in Belgium, water represents hundreds of millions of euro for the Horeca sector every year. He also mentions workers' rights. “Here, from the total bill, the worker gets 16 per cent. When we give free water the worker doesn’t get anything. So that means that every time they give you a glass of water, they are working for free,” he says. “Me, I never drink tap water. Never. If our machines can’t work with this water, how can my body?” says Roque. Outside influences have clearly played their part in restaurants who do serve tap water in Belgium. 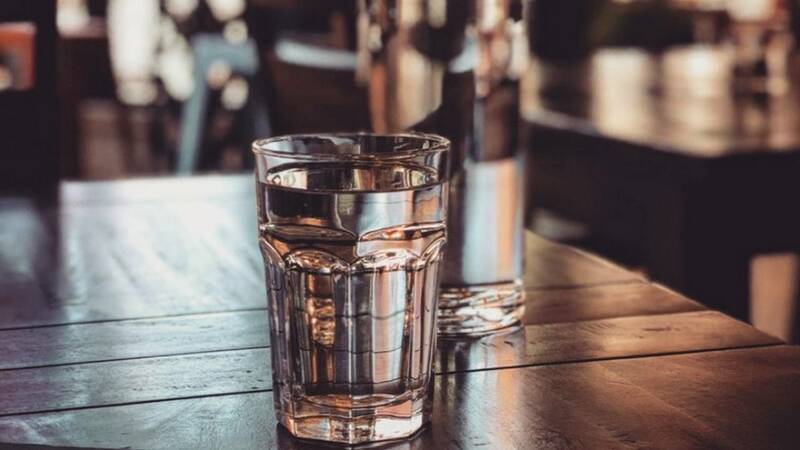 CHEZWaWa, a Mexican restaurant owned by San Francisco native Palmer Colamarino, has been serving free tap water since it opened three years ago. “People really appreciate it, and that’s great, that’s why I do it! I think access to clean drinking water is a fundamental human right,” Colamarino says, adding that growing up in California, giving free tap water in restaurants was the norm. “We’re in the customer service industry, we should be doing what’s best for the customer and giving the customer a choice, filtered water for free or filtered water for a charge or bottled water. I see arguments that restaurants shouldn’t be forced to do this and I respect that. But I think the basic issue is that the customer should be given the choice. It shouldn’t be culturally banned, if you will." The owners at Chouconut patisserie are also staunch defenders of the humble glass of water, having served it since they opened their tea rooms. “We’re from France, so for us it’s normal to have a glass of tap water free,” says owner Giovanni Malecot. Co-proprietor Baptiste Mandon concurs. “We’re happy to offer the customer some free water…it doesn’t cost anything,” he says. They dismiss the idea that it may cost restaurants their livelihood. “It’s nothing! Oh come on, nothing,” says Malecot. “If someone comes in my café and she buys a coffee I’m happy to serve water, it’s the minimum we can do. And I don’t like to serve plastic, I prefer to wash the glass for ten seconds,” he says. Poliart was inspired by a trip to Australia in the nineties - getting free tap water wherever he went. "Here, I noticed a few years ago a very cool place for brunch which is called Peck, that you can have tap water, for free. And it’s always packed,” he says. “One point on which I can understand them, is the way that they are overwhelmed with taxes can be difficult for some of them to run a business. But I think generally the fact of not giving away tap water in Belgium is part of what I call the “no-service” mentality that we have. But it’s changing - especially with the younger generation, they have travelled, and so probably they have a better sense of what service is,” he says. Is change afoot in Brussels? Ehrlich is hoping for a firm “eau yes”. “We just want a change today, literally today. It is that easy, restaurants could just make that change overnight, you can say - we have the glasses, we have a tap, we’ll give you the choice!"